...is made from light red to deep red Maca roots. Instead of being Sundried, these roots are fresh processed immediately after harvest. After coming out of the ground they are cleaned in a citrus solution, ground into a pulp and low temperature dried. This special processing leaves more glucosinolates in the final product. 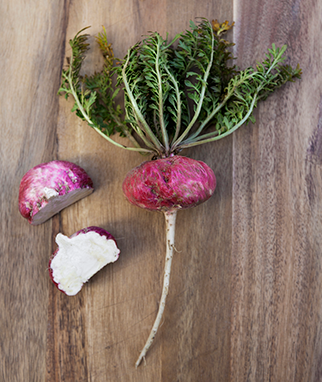 The level of glucosinolates is standardized at above 1% in our Raw Premium Red Maca. 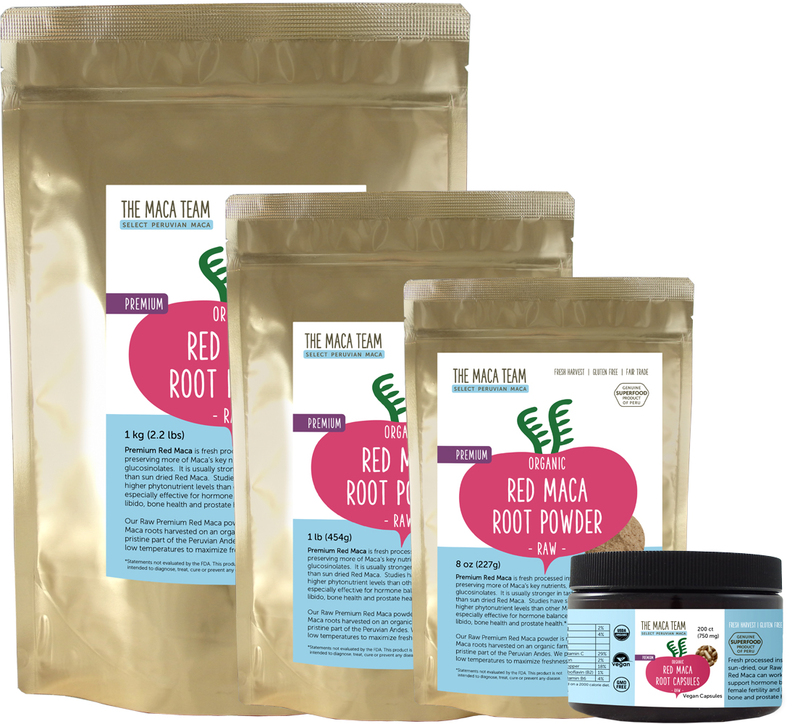 Red Maca powder has been shown, under phytonutrient analysis, to be higher in certain compounds that support the body in antioxidant and antitumoral activity. It has also been shown among all Macas to contain somewhat higher levels of other pythonutrients including alkaloids, tannins, saponis and steroids. Another significant difference of Red Maca and Yellow and Black Macas is the taste. Most people find the taste to be sweeter, more gentle and more mild. In 2010 researchers from the Universidad Peruana, Lima published a study on the effects of Maca on bone structure in rats that had had their ovaries removed. The study concluded that both Red and Black Maca supported bone strength and density among the test subjects. More research here.